Denver — Listening to Paula "Roddy" Godown recount the story of a student who realized he had the ability to overcome perceived limitations is as attention-grabbing as it is inspiring. The student, who quickly exceled among his classmates, is but one of the many success stories Roddy tells of during her time as a Foster Grandparent. "It really warms your heart when you know you helped a child understand something and that he can get excited about education," Roddy said. "It's just so exciting because they get excited." Roddy is one of more than 140 Foster Grandparents in Denver, Fort Collins and Colorado Springs. 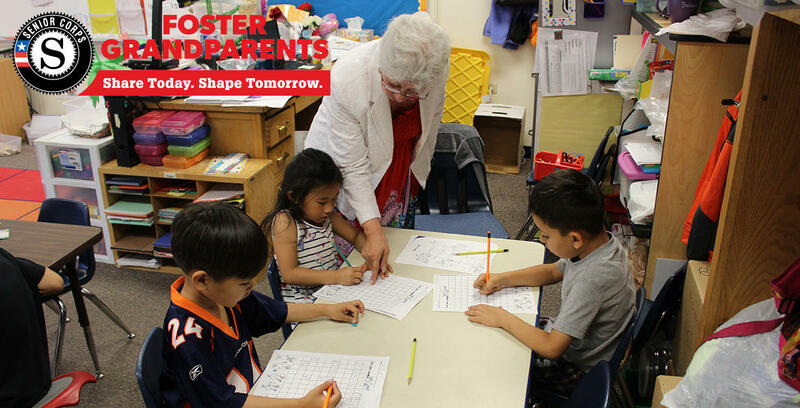 The Foster Grandparent Program at Volunteers of America Colorado matches low income seniors who are over 55 with students at early learning centers, head start programs, elementary schools and Boys and Girls Clubs. Like many, Roddy is a serial volunteer who enjoys helping people, especially children. Unlike many, the life lessons she brings into the classroom were born in the Marine Corps. "One of the things the Marine Corps teaches you is that you can do anything if you set your mind to it," Roddy said. "The Marine Corps brings out the best in you and teaches how to overcome fear. A lot of kids are afraid, but I feel everyone has potential." Roddy preaches self-esteem as an avenue for confidence and learning. Children will let a little fear keep them from speaking up even though others may have the same question, she said. Getting past that fear is the key to unlocking a child's potential. "Every child needs to know that they're valuable, that they're worth something to somebody, that people care about them," Roddy said. "We need to build a child's self-esteem from the time they're little because when they get into college, you can see where they never had that." The Marine embodies what it means to be a Foster Grandparent. They are in the classroom to pass on their wealth of knowledge and experience to a younger generation, to give a hug to a child and praise them when they don't believe they're worth it. Roddy has been a role model for the children in her classroom, but she's not alone. "This is a program that makes a real, measurable impact on young people across the country, while also providing a valuable opportunity for our retired citizens to give back to the generations coming after them," said Zach Ward, program manager for Reading Partners, a partner agency with Foster Grandparents. Foster Grandparents must commit to the children to the tune of at least 15 hours per week, but also receive a nontaxable stipend of $2.65 per hour, which does not affect benefits like Social Security, food stamps, housing subsidies or Medicare/Medicaid. For most Foster Grandparents, the real value of volunteering isn't a little extra income, but the look of excitement on a child's face when they understand something. "I want these kids to grow up believing in themselves, knowing they can do it, and not have people say no you can't do that," Roddy said. "It's all up here," she added, pointing to her head. Foster Grandparents is one arm of Senior Corps, an organization dedicated to providing seniors with outlets to use their skills and abilities in meaningful ways in the community around them. This week they honored more than 245,000 volunteers as part of Senior Corps Week. The job of a volunteer is never done, and Foster Grandparents is always looking for more volunteers. To learn more about Senior Corps and the Foster Grandparent Program, contact Program Manager Patti Krattenmaker at 303-297-0408.